SAN JOSE, CA–(Marketwired – March 23, 2017) – iXsystems, the leader in Enterprise Storage and Servers driven by OpenSource, had record growth in 2015 and 2016 and is on track to continue this growth in 2017 thanks to significant increases in storage revenue, growth of worldwide customers in every segment, expanded channel presence, and new product releases. 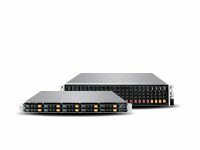 In 2016, iXsystems nearly doubled storage deployments, and significantly increased the number of servers sold. So far in 2017 there have been several products introduced by iXsystems to continue this growth. 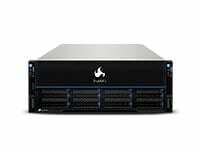 iXsystems released FreeNAS Corral, an Open Source storage solution for building a hyper-converged infrastructure. 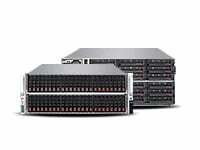 iXsystems was also the first vendor to ship a 10TB all-flash array for less than $10,000, addressing the needs of SMBs and others for economical all-flash storage. Much of iXsystems’ growth in 2016 came from supplanting incumbent vendors and increasing its share of the $20+ billion enterprise storage and server market. 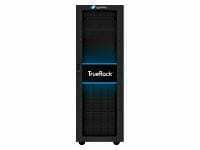 2016 also saw the TrueRack converged enterprise data center solution added to the iXsystems product lineup. 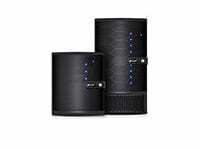 The FreeNAS Mini XL was also added, aimed at bringing enterprise-grade storage technology to the small office and home office user. 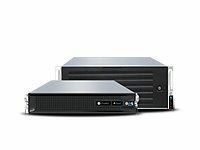 iXsystems also shifted sales of storage products exclusively through its channel of resellers and also added the same products to the U.S. Government’s General Services Administration (GSA) purchasing program. iXsystems storage revenue grew 50% in 2016, as did the number of new customers. In 2016, new storage deployments in vertical markets, including Education, Government, and Media and Entertainment, more than doubled. Much of this growth was due to a 400% increase in TrueNAS enterprise storage deployments of over half a Petabyte. iXsystems saw multiple large deployments in the education market, including Ben Franklin Charter School in Arizona with multiple servers and over half a Petabyte of storage, and McGill University with nearly 2.5 Petabytes of storage capacity. TrueNAS and FreeNAS systems were also deployed in every branch of the US armed forces. This momentum did not go unnoticed by the press, with iXsystems earning a “Gold” award in the Best in Biz Product Line of the Year competition, mutiple “Recommended” ratings in the 2016-17 DCIG Buyer’s Guide, and a glowing review of the TrueNAS Storage Appliance in The Register. 2016 was also iXsystems’ strongest year for adoption of its Open Source products, with the release of FreeNAS 10 Beta and the launch of TrueOS (formerly PC-BSD). iXsystems has contributed over one million lines of code to various Open Source projects, including FreeBSD and the OpenZFS file system. Between its TrueNAS deployments and the nearly nine million downloads of FreeNAS, iXsystems has put ZFS into more data centers and homes than any other source. 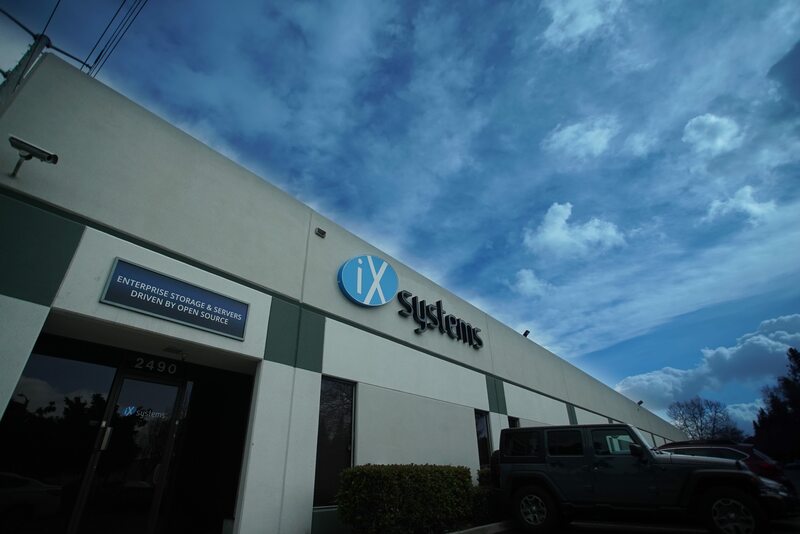 In order to accommodate headcount growth and to make room for additional growth in the future, iXsystems expanded its San Jose headquarters by 30% and opened a new office in Tennessee to house additional Engineering and Support staff. Finally, 2016 saw record tradeshow and community event participation by iXsystems, culminating with its hosting and organization of the fifth MeetBSD California conference at the University of California, Berkeley. The biennial event was 25% larger than its predecessor and featured talks by community luminaries like FreeBSD co-founders Jordan Hubbard (iXsystems CTO) and Rod Grimes, author Allan Jude, and bhyve expert Michael Dexter. In addition to having its experts speak at professional events including two Storage Networking Industry Association conferences, iXsystems hosted its largest VMworld booth yet. “We characterized 2016 as the year of the petabyte. We give customers tightly-integrated custom hardware and Open Source software that helps them meet their ever-growing, yet ever price-sensitive enterprise storage demands. 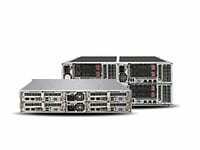 We saw intense demand for our storage and server products from customers, due in large part from expanding our channel and making further inroads with Government customers,” said Brett Davis, iXsystems Executive Vice President. To learn more about iXsystems or to obtain a no-risk quote on a configuration, visit www.iXsystems.com, email sales@iXsystems.com, or call us at 1-855-GREP-4-IX.